All Passenger Vehicle Cargo Safety Products by Adrian’s Safety Solutions are DOT and NACSS Compliant. 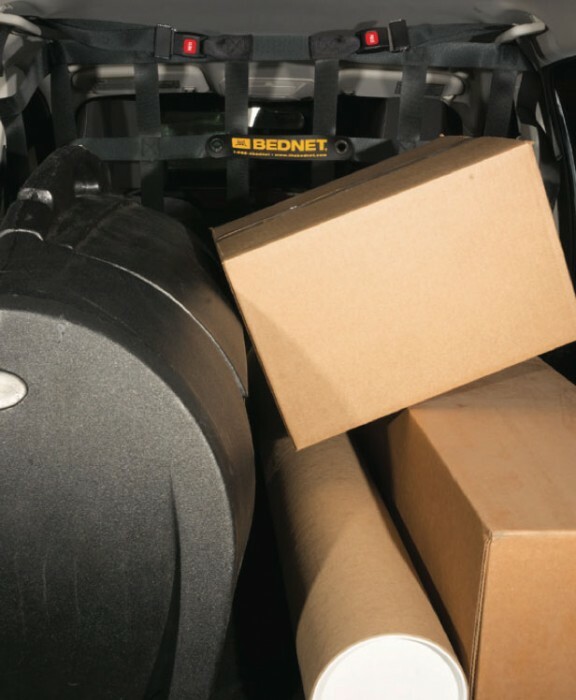 Bednet® Cargo Control Solutions provides simple, effective products for passenger vehicle cargo safety. Keep your driver safe by properly securing the cargo in your fleet. 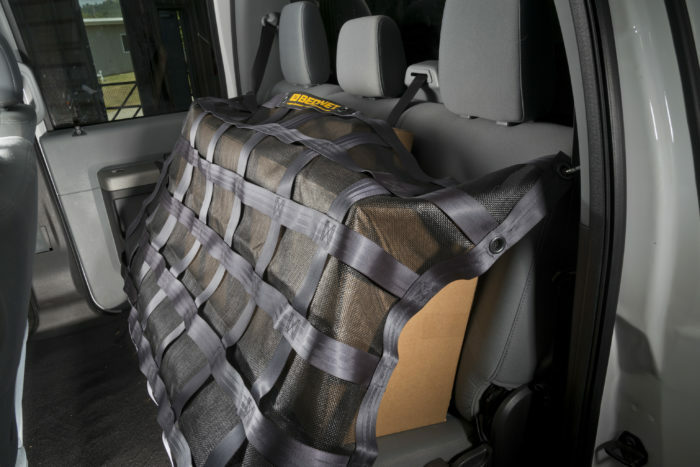 This premium net keeps cargo safely in the back seat so drivers can concentrate on driving. The Bednet® Interior Cargo Restraint System provides painless installation into the seat posts at the bottom and seatbelt at the top. The Bednet® SUV and Crossover Bulkhead protects the driver from objects carried in the rear seats or cargo area during an accident or hard braking situation. It installs in minutes in most vehicles with no alterations required. Disconnects and stows quickly to regain passenger vehicle functionality. Carry case included. 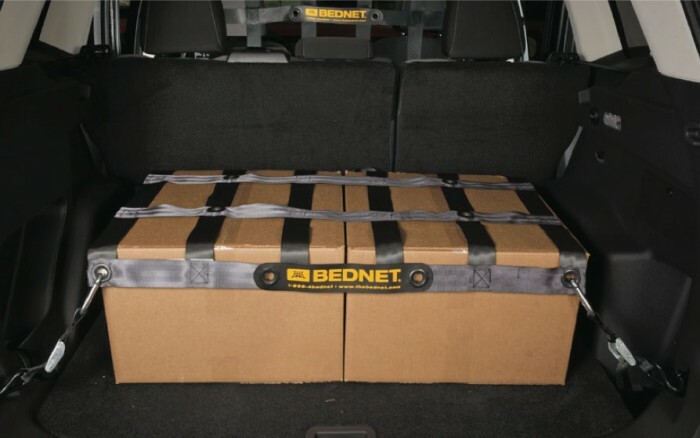 The Bednet® Mini incorporates the ground-breaking design of the Original Bednet® Cargo Restraint System for use in smaller cargo areas. Secure loads quickly and effectively in UTVs, SUVs and service carts with the four integrated adjustable straps. 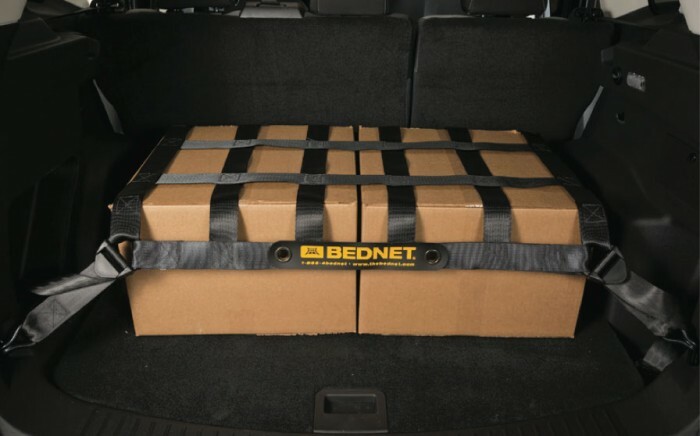 The Bednet® Compact Utility Pro net quickly and effectively secures your gear in the cargo area of an SUV. The movable cam straps give you the flexibility to shrink or grow the net, allowing proper restraint of large and small items.